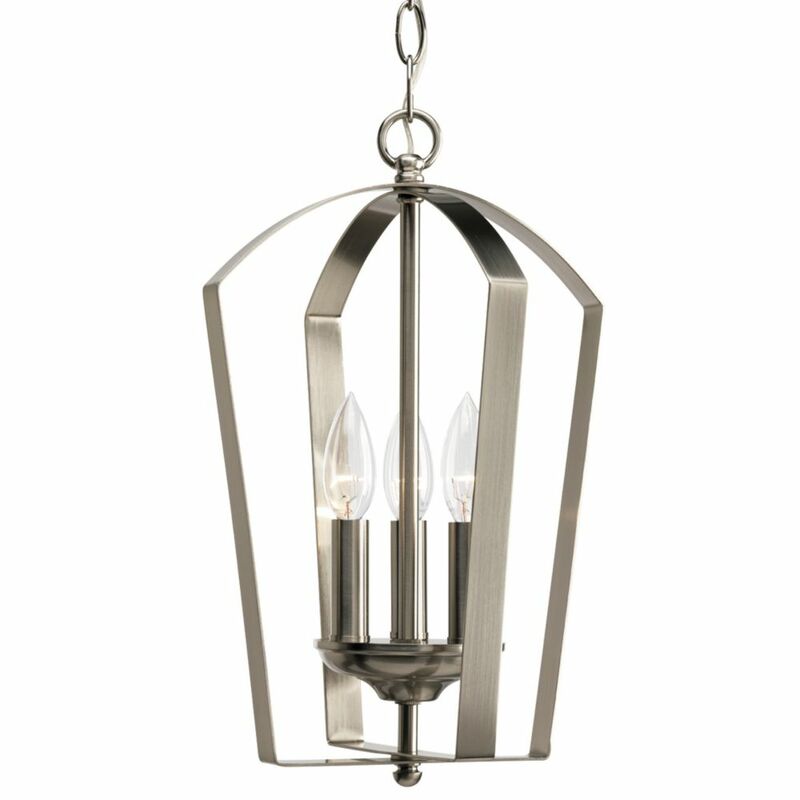 Gather Collection 3-Light Brushed Nickel Foyer Pendant Casual with a contemporary flair, Gather possesses a smart simplicity to complement today's home. Etched glass shades add distinction and provide pleasing illumination to your room. Coordinating fixtures from this collection let you decorate an entire home with confidence and style.